FREE 2018 Medical Helicopter memberships for all Union & Towns County residents! 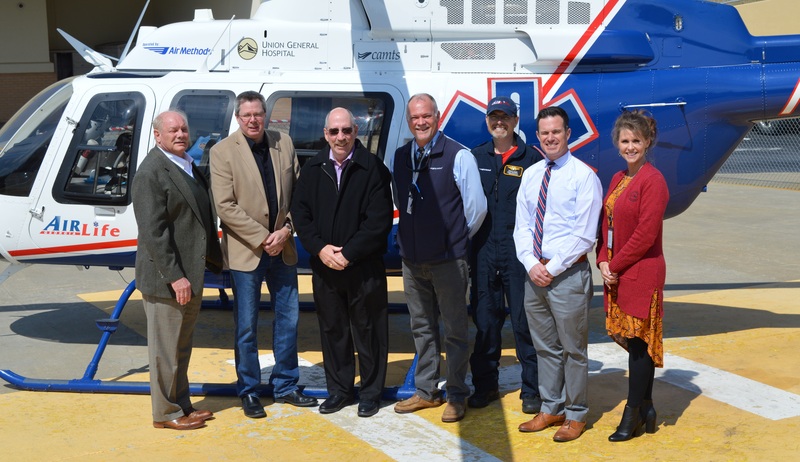 In an effort to provide our local communities critical care in the air without the financial burden, Union General and Chatuge Regional Hospitals reached out to both the Union County and Towns County Commissioner’s Offices to provide another year of medical helicopter membership through the Air Methods Advantage program. We are very excited that we will be offering FREE Air Methods Helicopter Memberships again, for the third year in a row, to all residents in both Union and Towns County! There are two helicopter companies that service Union and Towns County, the first is AirLife GA owned and operated by “Air Methods”, which is the one being paid for by Union General and Chatuge Regional Hospitals as well as the Union and Towns County Commissioner’s Offices. The second helicopter company is Air Med Care which charges a $65 renewal fee and is not affiliated with Air Methods Helicopter Membership. The Air Methods Membership is free and has no fee. The current year’s Air Methods Membership for all county residents will take effect on June 1, 2018. Union and Towns County residents do not have to sign up for or fill out anything to become a member of Air Methods Helicopter Membership. Air Methods provides emergency air medical transport to the nearest trauma center for patients in critical condition. As we stated earlier, there are two different helicopter companies that service this area. Air Methods is the helicopter service based at Union General Hospital which is the membership being paid for by Union General Hospital, Chatuge Regional Hospital, and both Union and Towns County Commissioner’s Offices. This free membership covers you locally, as well as in 48 states throughout the country, where Air Methods helicopters are based. For instance, if you are a resident of Union or Towns County and go to Florida on vacation and needed to be life-flighted, as long as you use an Air Methods Company Medical Helicopter, you would be covered under the membership being paid for by Union General Hospital, Chatuge Regional Hospital, and Union and Towns County Commissioner’s Offices. On average, a medical helicopter flight in this area costs in the range of $30,000 to $50,000. Residents of Union and Towns Counties will not have any out-of-pocket expenses for them to use an Air Methods Medical Helicopter in an emergency situation. Any resident of Union or Towns Counties that use the Air Methods helicopter will receive a bill in the mail; however, the membership will take care of what the insurance does not cover. If someone does not have insurance this program will pay all of the costs. Proof of residency will be required to be sent in with the bill. For questions regarding this FREE membership, please call or email Leslie Daniel at (706) 745-2050 or mchf@uniongeneral.org.